That didn't take long! It looks like the Rogers BlackBerry Curve with GPS has officially launched and is now available for Rogers outlets and retailers to begin distributing! Thanks yet again to our Rogers tipster (he's becoming a regular!) 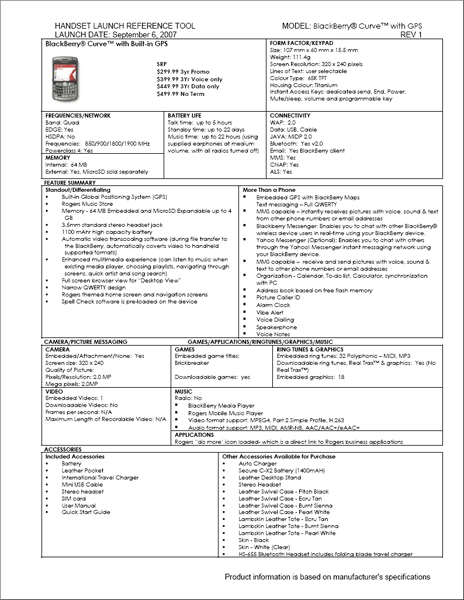 for getting us the 8310 Launch Release and Handset Launch Reference Tool .pdfs. He told us yesterday that "8310R" had shown up on Rogers order screens but that no internal documentation had come through yet. This is the internal documentation and confirmation of the looming Rogers 8310 launch that we were waiting for. 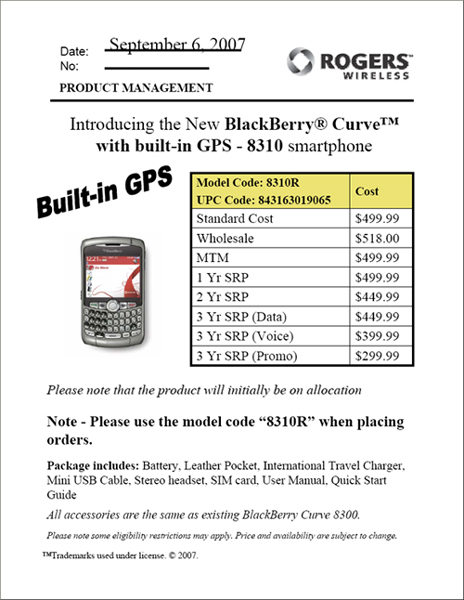 From these sheets it looks like Rogers is officially going to refer to the device as either the "BlackBerry Curve with GPS" or "8310" for those who prefer numbers. Remember, this doesn't mean you can walk into a Rogers outlet/distributor and pick up a Rogers 8310 quite just yet. But it does mean you will able to SOOON (and likely ahead of our friends South of the Border).